The beautiful mosaic background inspired by the floor art of India gives it a contemporary feel, and yet the pop lotus thrown in the centre screams fun and play!!!. This I-pad mini cover is surely going to catch lot of attention and you are absolutely going to enjoy it! 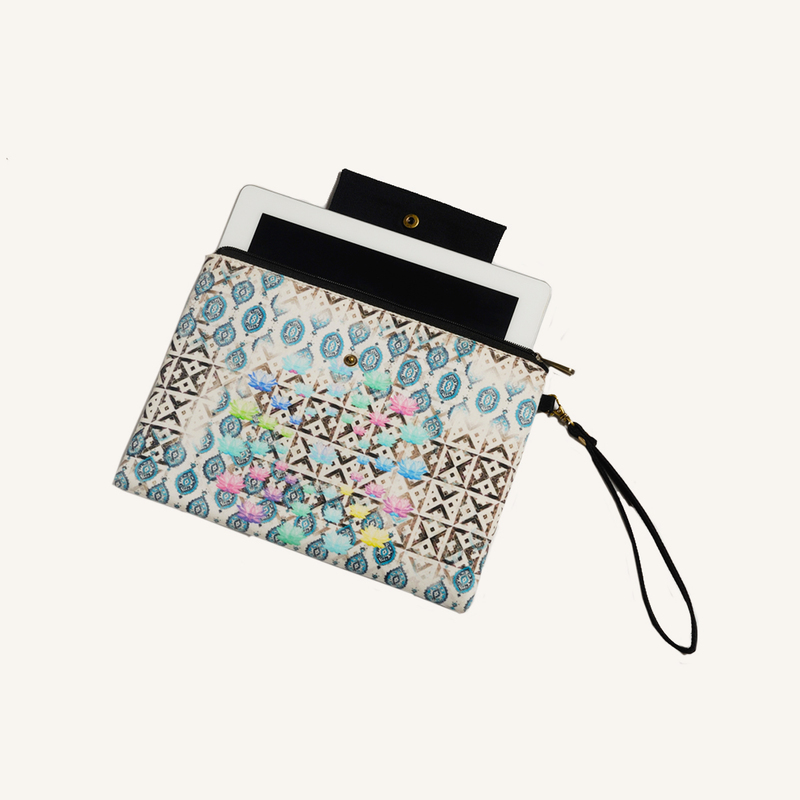 Be the first to review “ECLECTIC BLUE POP LOTUS IPAD MINI COVER/WRISTLET ” Click here to cancel reply.